Great for shade on a hot deck or patio. Perfect for covering up tables at yard sales. 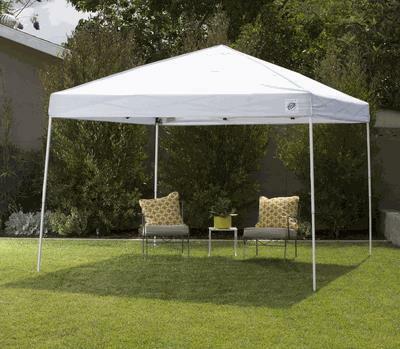 Can be used at any event in addition to a larger party tent to cover a bar area or band setup. Great cover for barbeques and picnics. * Please call us with any questions about our ez up 10x10 rentals in Corning and Bath, serving the Finger Lakes Region of New York.